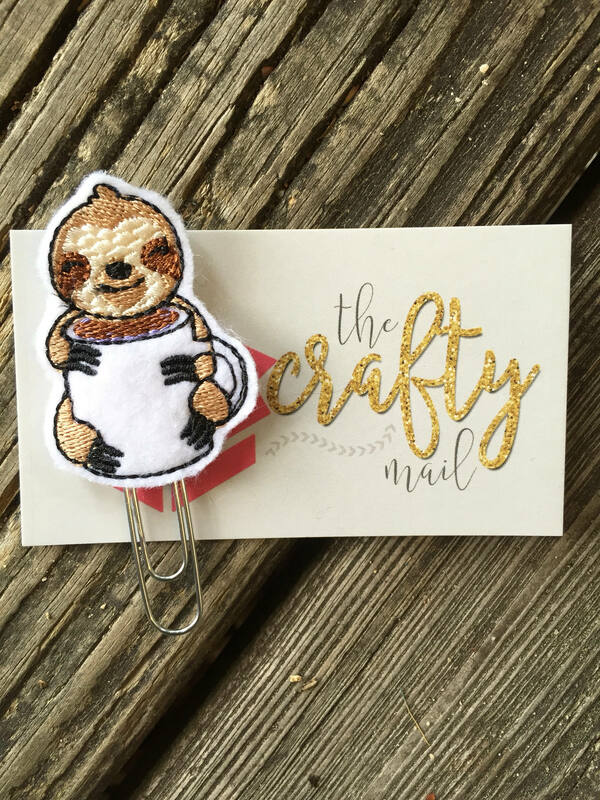 Sloth With Coffee Clip/Planner Clip/Bookmark. Large paper clip with sloth embellishment. Cuter in person! Nicely crafted. Sloths are always so adorable and this one with his coffee makes me smile when I open my TN.